Find inspiration for your residential outdoor patio project. Create the foundation of your outdoor living space with a beautifully crafted patio. 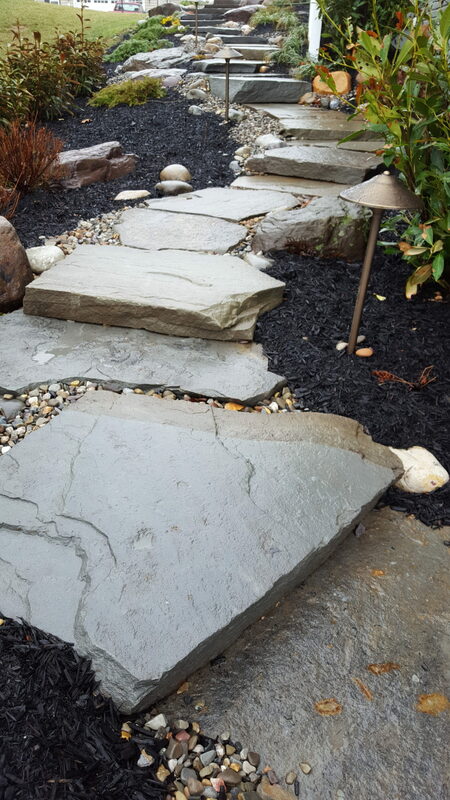 Define your outdoor space with unique pathways that guide you and your guests through your living space. An outdoor fireplace can anchor your outdoor living space. It can provide a focal point that beckons everyone to gather around. Hardscaping is the use of inanimate objects such as wood work or masonry which is integrated within a landscape. Our team of experts are capable of designing and building any type of hardscaping projects including stone walls, paver, brick and flagstone patios, walkways and driveways. The "BeeTeam" can craft a custom hardscape for your specific need and vision for your outdoor living space. Our team pays very close attention to detail and you will see it in any one of our projects. We intend for each crafted outdoor living area to be there forever and build it to last and look great. Combining functionality with natural beauty is what we strive for with every project.